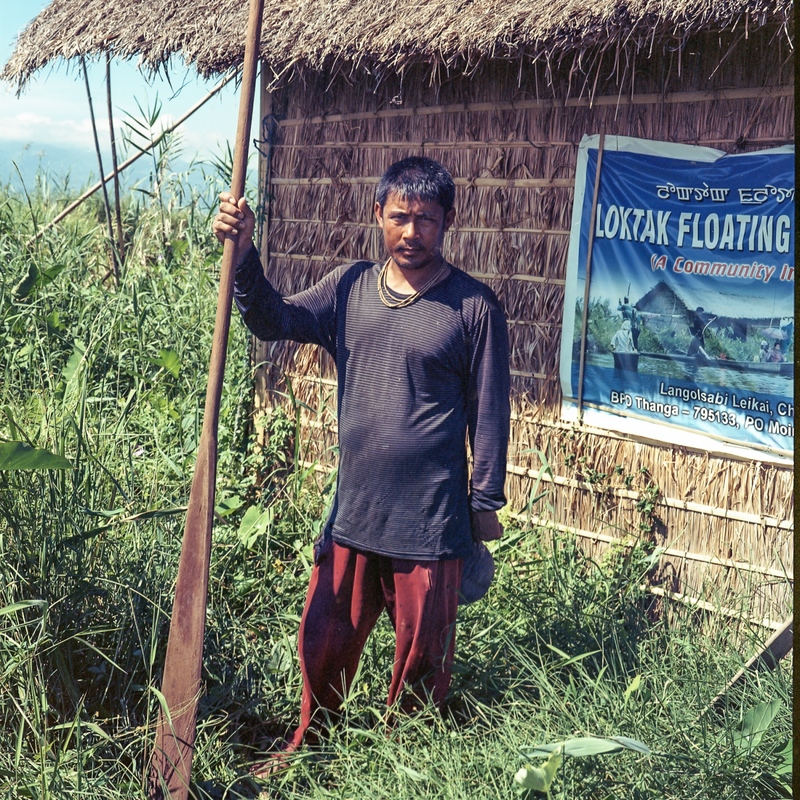 The lives of over 100,000 indigenous people living in and around the Loktak Wetland are economically, socially, and culturally linked to the wetland. The Loktak wetland supports a rich biodiversity of flora and fauna and is home to the Meitei tribes. This unique wetland is considered one of the most productive ecosystems in the world, making it a wetland of international importance. 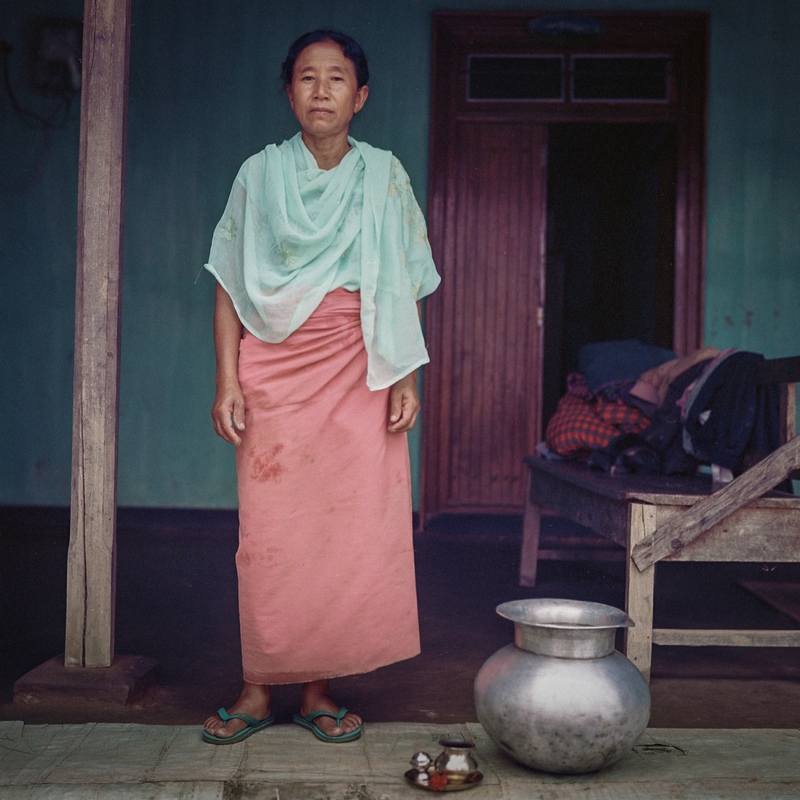 Development and regional conflict have endangered Loktak, threatening the livelihoods and identity of the Meiteis. Portraits of Resilience takes viewers up close to nine individuals to explore the relationship between the people and the lake as well as their fight for survival and self-identity. 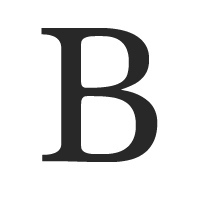 It gives a glimpse of how the lake intrinsically influences the existence of these individuals. 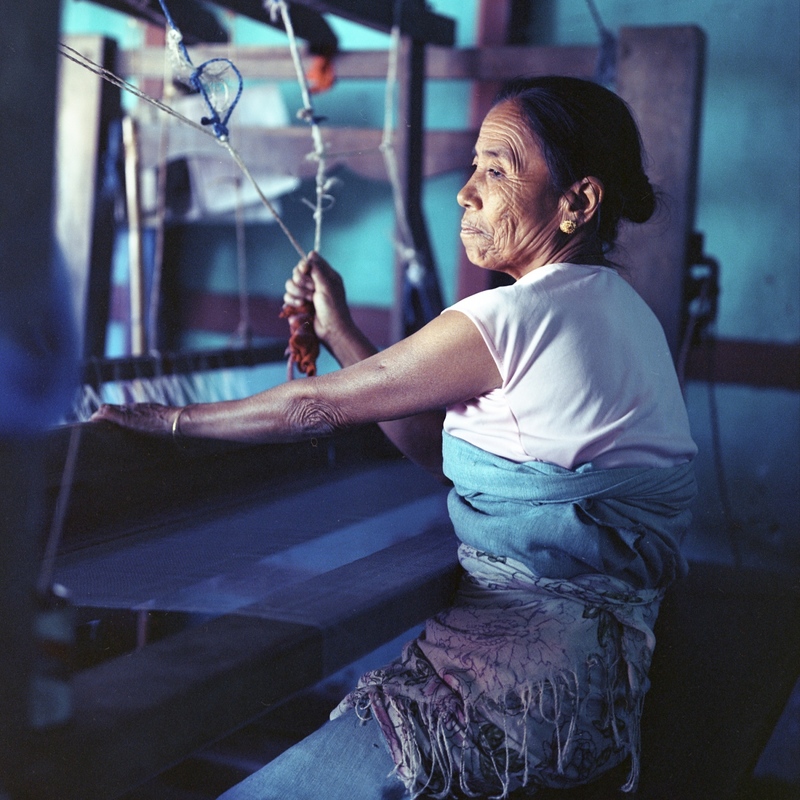 Kombirei Devi Khwairakpam, a retired fisherwoman who now spends part of her time weaving nylon-fishing nets. Change in water level and fish biodiversity in the lake after the construction of the Ithai Dam has forced fisherfolks to abandon traditional fishing technique and adopt the use of nylon fishing net. Women continue using traditional methods, thereby spending extended hours fishing compared to men. This not only impacts their health but also the time they spend tending their families. Rocky Khwairakpam has been fishing in Loktak Lake since he has been a teenager and he finds it increasingly challenging to survive off of fishing. Over the years after the 105 MW Ithai Dam was commissioned he has seen the fish population in the lake dwindle and native species such as Pengba, Sarang, Nara, and Khabag disappear. For over two months Muktarei Oinam has been making numerous trips each day through her inundated yard to fetch water from the borewell. The flood destroyed her vegetable garden. Yards of numerous homes across the Loktak area remained flooded for weeks during monsoons not only destroying vegetable gardens and fishponds but also fruit-bearing trees. Experts believe that flooding in the region was an outcome of the Ithai Dam and climate change. Indrajeet Tombram takes a break from the backbreaking work of dredging out weeds that had proliferated on a fish farm where he works. Increased erosion and use of fertilizer along with altered hydrology due to the commissioning of the Ithai Dam have resulted in increased rates of eutrophication of the lake. 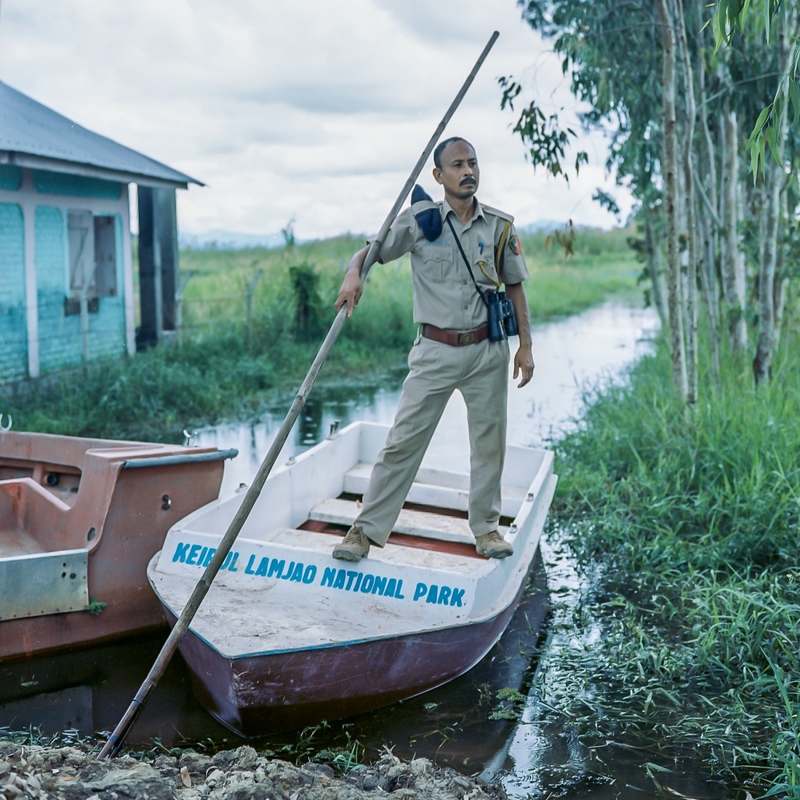 Basant Salam has worked as a ranger in the Keibul Lamjao National Park for almost ten years. A total of 35 unarmed forest guards are responsible for fighting sophisticatedly armed poachers who enter the floating national park to poach the endangered Sangai deer. In 2013, Salam fought two armed poachers, who were arrested, but managed to obtain bail and now roam around scot-free. Three weeks after Sonia Khwairakpam gave birth to her son Malem, heavy rains flooded her home compelling her family to move out of their home. Hydrological changes from the construction of the Ithai Dam along with climate change have resulted in severe flooding that has never been seen before around the periphery of Loktak Lake. 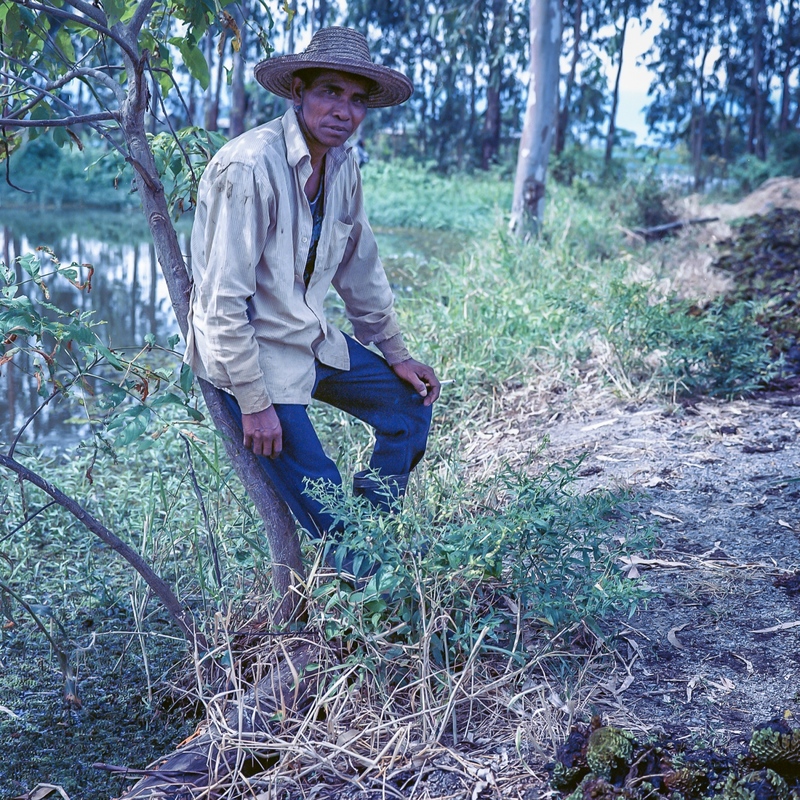 Sanjit Shamon is a fisherman and a resident of the village of Champu Khangpok. The village is comprised of numerous Phum Shangs (floating huts) in the Loktak Lake. Shamon fought back the police when they attempted to evict him during the November 2011 Phum Shang eviction drive. The Loktak Development Authority arsoned and dredged over 700 Phum Shangs in the name of lake clean-up after the introduction of Loktak Lake Protection Act 2006. Salam Enao Meitei, a poultry owner, poses for a portrait while preparing a meal for a luncheon. 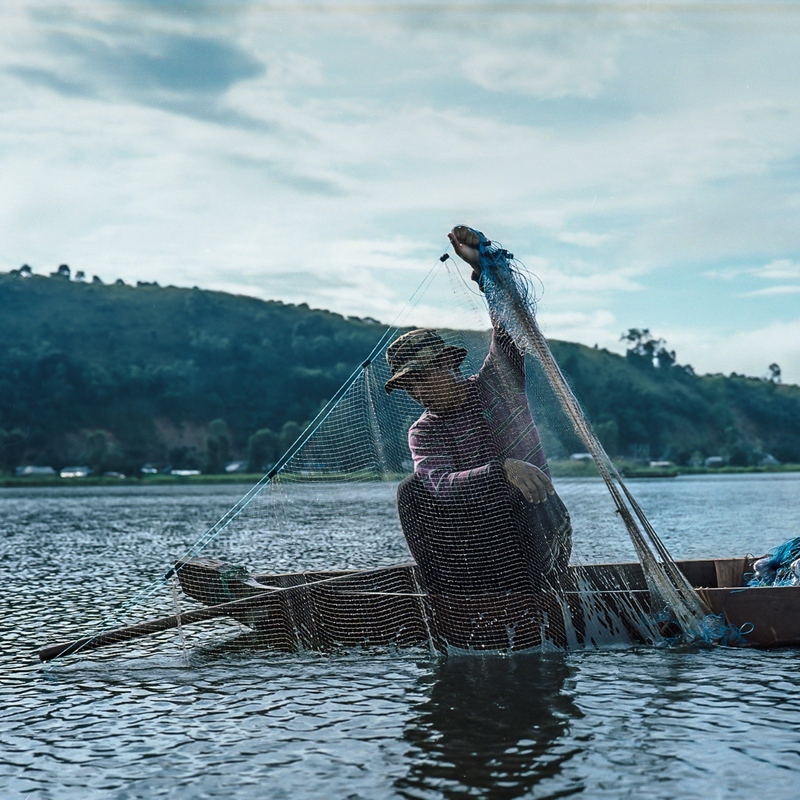 The younger generation in communities surrounding Loktak is moving away from the traditional livelihood of fishing because making a living from fishing has become challenging. The older generation has been encouraging the younger generation to get an education to find a different means of livelihood. 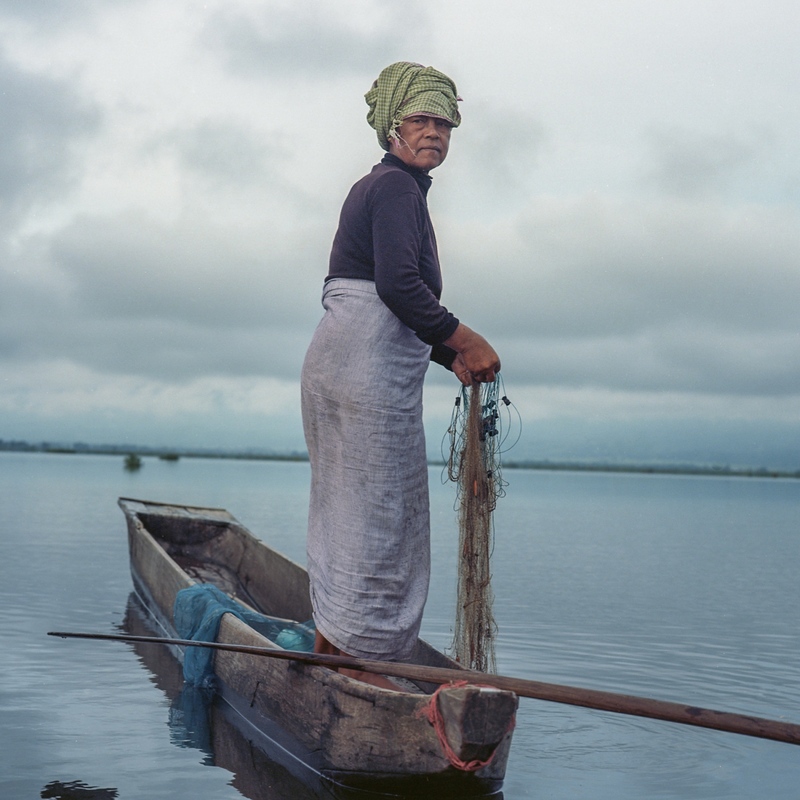 Moirang Themapabi has been fishing in Loktak Lake and selling her catch since she was a teenager. The construction of the Ithai Dam has resulted in fish scarcity in the lake, impacting the livelihood of her entire family. She spends more hours fishing than she did before the dam was constructed. Over the years due to long working hours, she has developed severe calf and backache issues.